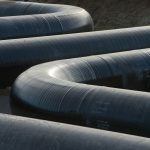 Brussels – Representatives of EU member states have agreed on a compromise for regulating the Nord Stream 2 pipeline without threatening the project, EU diplomatic sources tell dpa. 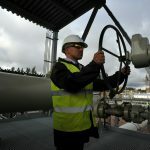 The decision came as representatives met on Friday to discuss possible changes to a gas directive that would allow the European Commission to impose greater regulation over gas pipelines, including Nord Stream 2, which links Germany with Russia under the Baltic Sea. The move had been unexpected until France made a surprise announcement Thursday saying it would support the proposal. That led to a French-German compromise to allow conditions to be imposed without undermining the project. The compromise was backed by 27 out of 28 member states with only Bulgaria opposed, according to a French official. “The adoption of this directive … will enable greater European control of energy projects in order to guarantee more independence and sovereignty for the European Union in the energy sphere,” said the official.